Software vendor iHealthHome announced today a major release of their Interactive Plan of Care solution that empowers professional Care Managers with the digital tools they need to coordinate care and leverage in-home technologies that help seniors stay healthy and independent at home. 28 percent of patients offered home health care say “no” to those services. 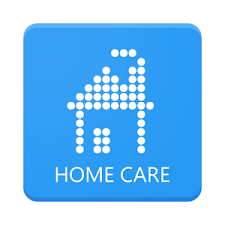 Is current and appropriate, and comprises the only choices for home health care? Shortage of paid care workers – a growing problem, not well-quantified by region. As AARP predicted in 2013, by the time the boomers arrive in their 80’s, just nine years from now, there would be a population deficit of prospective care providers aged 46-64 – the caregiver support ratio (CSR). But perhaps the more intriguing question – where are the workers who could, should, or would provide care? In a study released in December 2015, the U.S. Bureau of Labor Statistics (BLS) stated that the compound annual growth rate for home care services, particularly personal care aides, between 2014 and 2024 would be nearly five percent, the highest among all industries. Compare the number of workers that provide direct care ( for example, personal care aides) to retail – these jobs are low-paying at approximately $11/hour and most would say the work is physically more difficult than other low-paying categories. And tech-enabling the care, while streamlining sourcing and tracking, does not close the available labor gap.